You may not have liked today's iTunes announcement. But, there is hope. 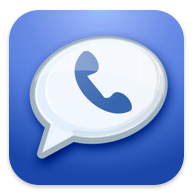 The official Google Voice [iTunes link] app for the iPhone just hit the App Store. I don't really have much use for Google Voice, but I know many people who do. Maybe I'll just get a Google Voice number so I can receive and send free text messages. Or maybe the new Facebook Messages can help me in that department.